Warner Bros. 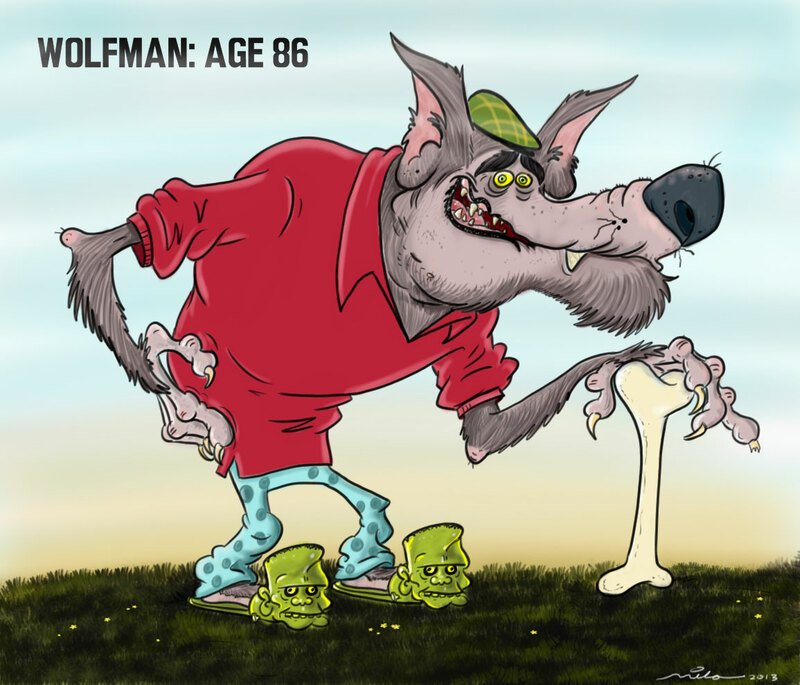 Animation, who’s produced countless hits such as Pinky and the Brain, Animaniacs, Tiny Toons, Batman the Animated series and many more has brought back the dynamic duo in a big way. Rather than the usual setting Tom and Jerry takes place in, this time our heroes dwell in an otherworldly village, filled with wizards, witches, and dragons and blue skinned people. Amongst them is a young, green-skinned witch named Athena who lives there as well along with our other two protagonists: Tom and Jerry. Why she’s green is never really revealed. Hated by the residents of this village due to the association with her evil aunt Drizelda, Athena is misunderstood and lonely, considering her only two friends are a cat and a mouse. When the trio finds an unhatched dragon egg, Tom is chosen to raise it once the creature is born. Aunt Drizelda, who was banished years earlier for use of dark magic, decides she needs the power this little dragon possesses and attempts to kidnap the poor thing. Throughout the rest of the movie everyone is trying to keep the dragon out of harm’s way all the while avoiding their village from being destroyed by Drizelda’s dark powers. 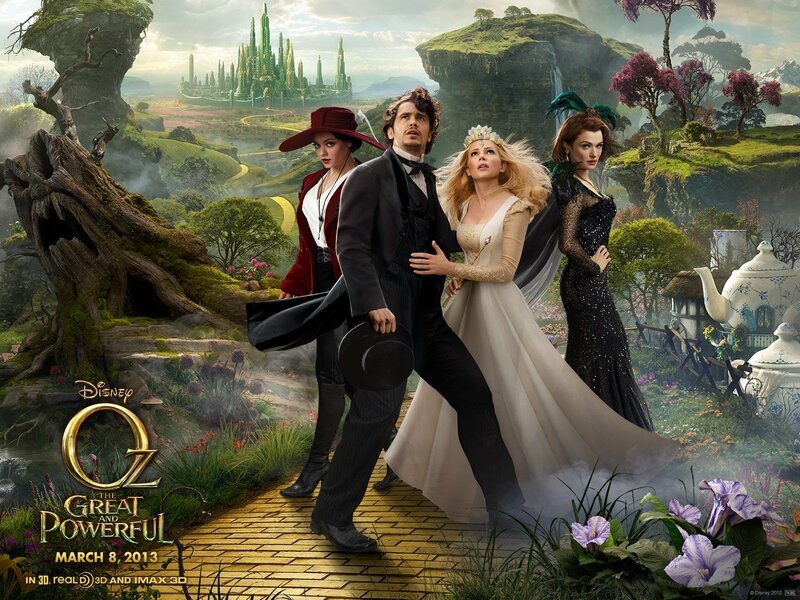 Although this movie was sweet and had a touching sense of child-friendly adventure, there were a few flaws. The plot line was a bit predictable and lacked the traditional fighting between Tom and Jerry, aside from a couple short scenes however in this politically-correct world that’s to be expected and this was not made for adults but for impressionable children. Still I did miss the slapstick humor and rivalry between the famous duo. The end of the film was also a bit perilous, in which some young children might find scary. However, despite these issues the rest of the movie was pretty humorous and adorable, especially with the baby dragon whose cheeks I desperately wanted to pinch. Maybe this movie was not the Oscar pick of the season, but if you have a child from about four to eight, this movie might be worth watching. Enjoy! Anyone in the entertainment industry can clearly see that computers in their workflow are here to stay. You cannot go through a studio in this day and age and not see a tablet in some form or another. The primary supplier of these tablets is Wacom and since they own the market more or less they charge a huge amount of money for their devices. 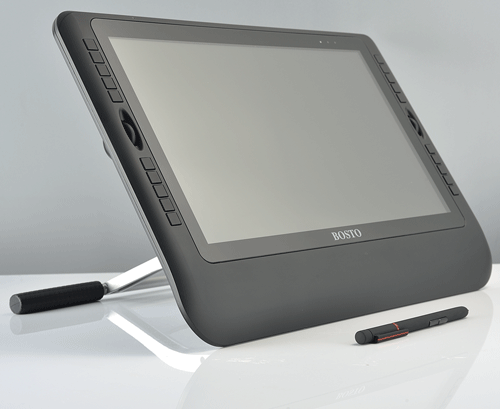 In all fairness the Cintiq line are beautiful pieces of machinery and craftsmanship and you really cannot blame them for charging a premium for such well designed hardware. That said, other hardware companies are stepping out onto the playing field to try and knock the crown off of Wacom’s digital head. One such hardware maker is Bosto, a Chinese company which is currently making tablets called Kingtees in two sizes. 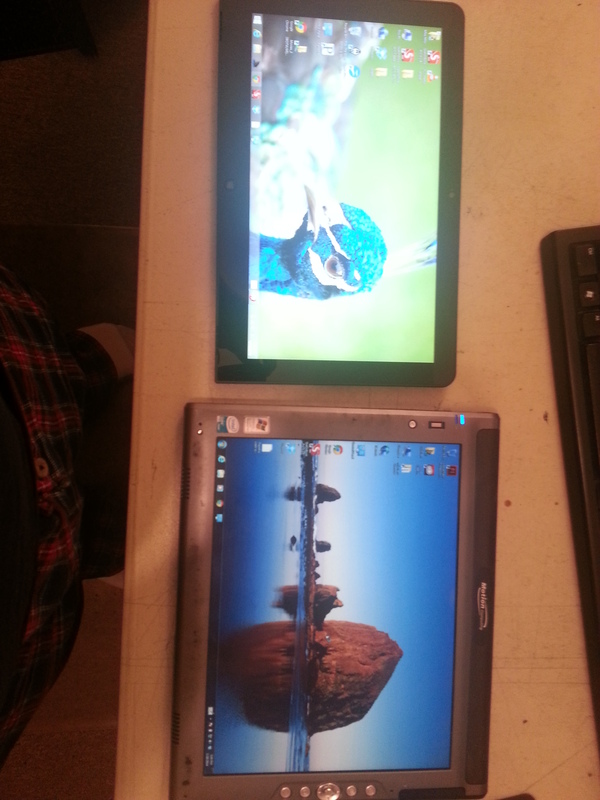 They have a 14” device and a 19” device both of which I will be reviewing. I won’t review them completely separate but rather will call out difference in certain cases because once they’re plugged in and you’re drawing there’s not much difference between the two past the obvious things like the smaller screen on the 14″ unit. Everything else is pretty much the same unless otherwise noted. One last thing, there are two versions of the 19″ Kingtee and I am reviewing the Bosto Kingtee MA not the lesser priced MB. The specifications are the same but the body shapes differ, and the MB does not have the express keys and shuttle roller of the MA. The price difference is $50. My tablets arrived from Shenzen in an actual wooden crate which I’ve got to say I’ve never seen before. It in and of itself was pretty cool. Once I pried away the wood I was left with two nondescript black boxes with no writing whatsoever on them. Both devices came very solidly packed in fitted foam and you should feel safe knowing that they are expertly packed. Inside the main box of each unit, two boxes held a digital DVI cable, a standard analog AV cable, a USB cable and an HDMI cable. It also came with a mini CD -Rom that had both SAI Paint on it as well as a Windows XP and Windows 7 driver. The Kingtees do not currently support Windows 8, but really who’s using it anyway? I was happy to see that Bosto includes just about every possible cord to connect the Kingtee to your computer. A rarity in the hardware world since TVs these days don’t even typically include an HDMI cable. First I figured I’d try it with Windows since Bosto only officially supports that operating system. There is an open source driver for the Mac as well (more on that later) but it’s not officially supported by Bosto (yet). I installed the driver and hooked up the device at first with the HDMI cable but that didn’t work (most likely due to the lack of drivers for my port) so I switched to the included DVI cable and it booted right up. I didn’t even have to restart Windows to get it to work. Once I set up the monitors the way I like them I was ready to try it out. One note is that you must connect the USB cable to the USB-In port and not one of the USB Out ports or the pen will not work. On the mini CD there is a standard driver installer as well as a copy of SAI Paint. The drivers installed easily enough and placed two icons on my desktop. One to invoke the driver itself should you decide to exit it, and a button configuration tool, which you use to set up the side buttons. Once I figured out how to use the software (fortunately there is an online guide) it was very easy to setup and extremely useful in my workflow. The Kingtee’s button configuration app is bare bones but works. As of this writing, there are currently no official Mac drivers for the Bosto Kingtee but there is an open source driver that can be downloaded from George Cook’s site who is doing a great job on a Mac driver. Sadly, I was not able to get it to be functional for me as the stylus was offset by about half a screen but many others on the site have reported it working well. News from Bosto also points to the tablets’ support for Ubuntu Linux 13.04 out of the box! Both the 19″ and the 14″ come with almost identical ports on the back, the only difference being that the 14″ device has only two USB ports as opposed to three on the 19″, one of which is needed on each device for tablet functionality. The device will turn on without it plugged in but the pen will not work without the USB plugged in which is actually very similar the Cintiq. HDMI port, two USB ports and the AC power plug port. HDMI port, three USB ports and the AC power plug port. On the 14″ tablet there are 20 configurable buttons lining the sides of the screen to set functions like Undo and Copy, Paste etc. Ten on each side of the device. On the 19″ there are only 10 which is odd because I would assume it would be the other way around. 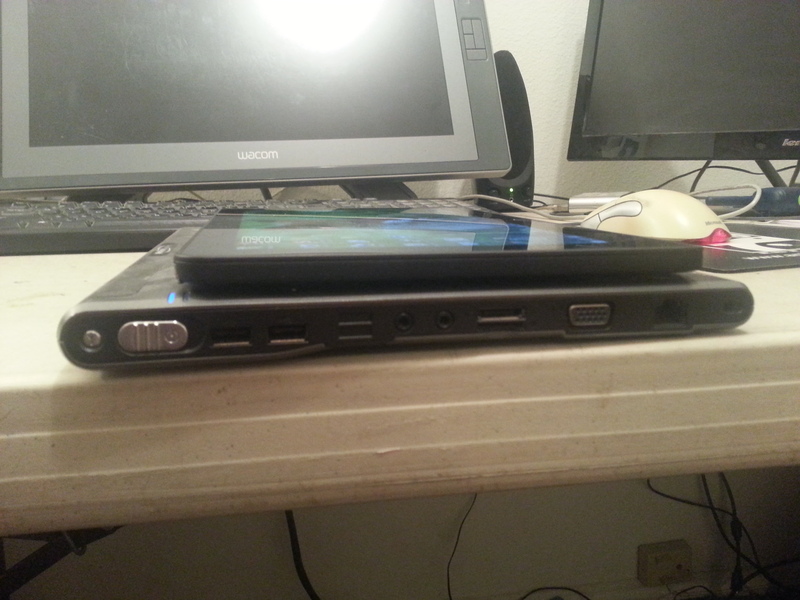 which is accessible from both the top and the bottom of the device. The 14″ tablet by contrast has 20 and two scrolling wheels! 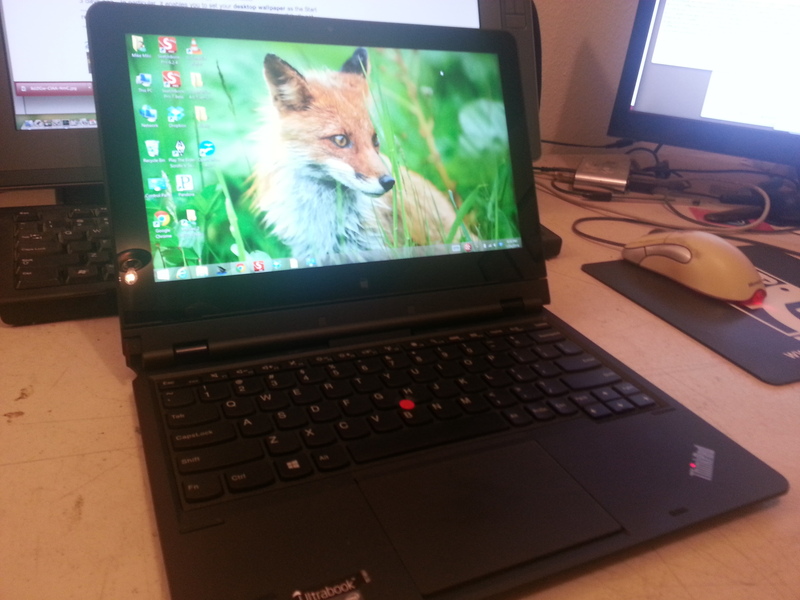 My initial impression of both the 14″ and the 19″ tablets was that they seemed extremely light. In the 14″ one it’s a benefit because it easily makes it portable and I could easily see throwing it in a backpack and using it with a laptop on the go (provided you had a power outlet). It probably doesn’t weight more than a pound and a half and even came with a neoprene case! Bosto is however developing two new 14” models. Due for release in June the 14WB has a Lithium-ion battery (5000MA, 60W), which solves the portability issue, and following this in August the 14WC is actually an all-in-one PC. 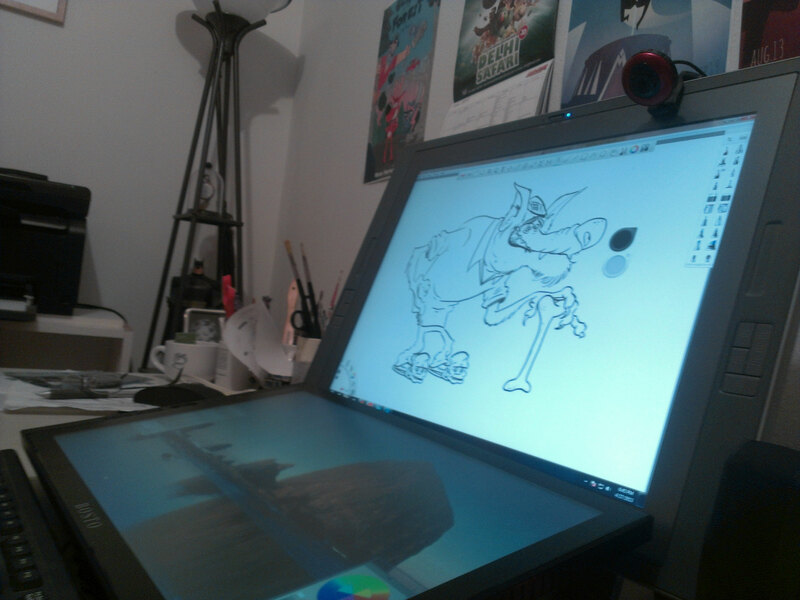 Both Kingtee screens have a very narrow effective viewing angle in comparison to the Cintiq. So for instance, if I lean to the left or back I will quickly lose the ability to see what’s on the screen on the Kingtee but can still see what’s on the Cintiq’s screen as evidenced by the pic below. It’s not drastic but it is noticeable so I bring it up in case you like to slouch when you draw. 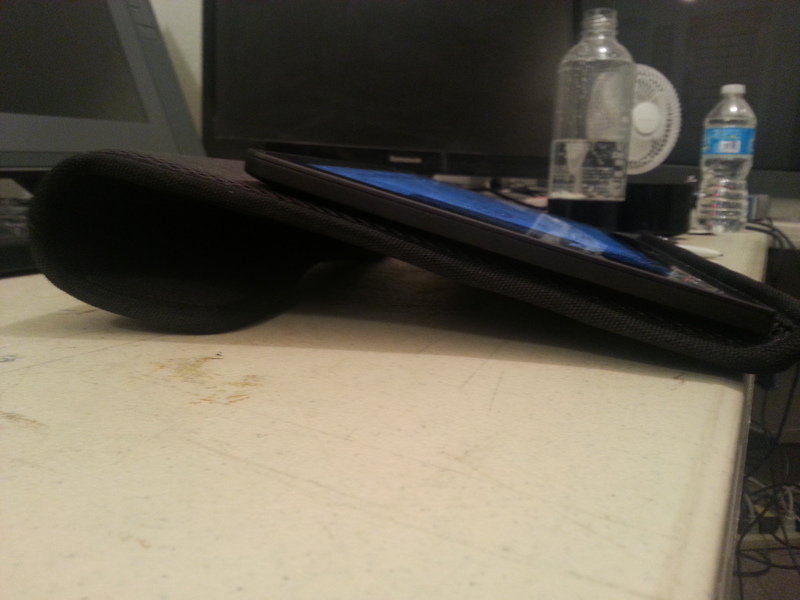 and the bottom is the Kingtee 19″ tablet Display. is noticeable side by side but still very usable. Honestly most laptops are like this as well so I really can’t complain much and most artists draw directly facing the screen so it should not bother you much. By contrast, the Cintiq’s viewing angle is much wider. Bosto recommends the use of a Mounting Arm, such as the Ergotron LX Desk Mount LCD Arm available on Amazon for around $108 bucks, for optimum positioning so that you can adjust to the limited viewing angle. Even if you spring for this you’re still hundreds of dollars less than the Cintiq and the added ability to slide your tablet to the side and free up your desk for other work is a godsend. Amazingly enough, both Kingtees remained cool during the whole time I used them which if you’ve ever spent a day over a boiling Cintiq is enough to make you switch alone. 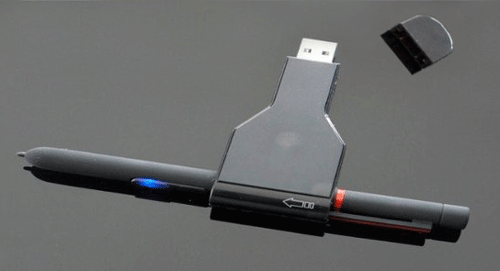 The 19″ pen is charged by an pretty cool little USB charger (included) that you plug into a powered USB port and then slide the pen right into the sleeve and wait for it to juice up again. 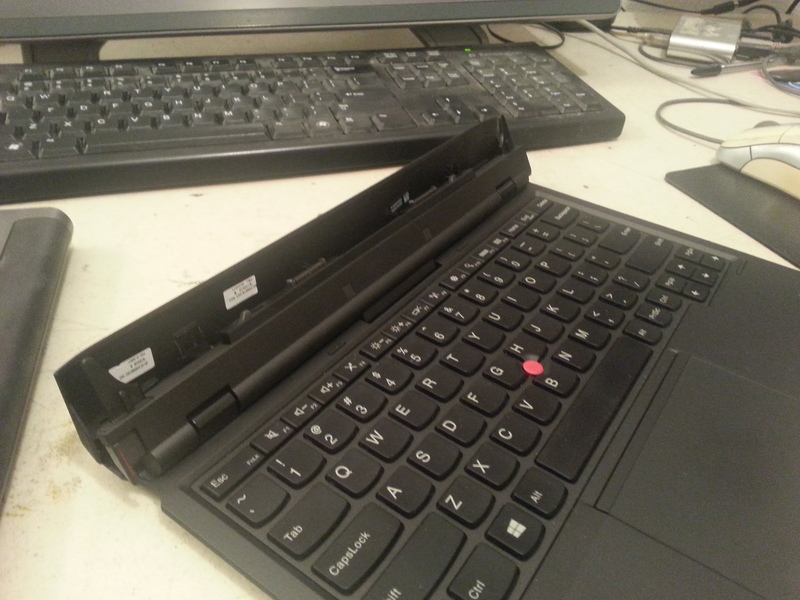 In the 14″ device you have to manually put three tiny AAAA batteries into the pen’s sleeve and power it that way. I am told the batteries last a month or more (400 hours use). The 19″ Kingtee’s pen charger. The pen itself comes with extra nibs and a little ring to pull the worn nibs out with. The Kingtee’s nibs are not compatible as of yet with the Cintiqs which for me is a shame, because I prefer the felt tip nibs as opposed to the harder plastic ones. I had trouble getting a grip on the screen as I drew but I have that issue with the Cintiq as well and do not like the plastic nibs on either device so this is my own shortcoming and no fault of Bosto’s. 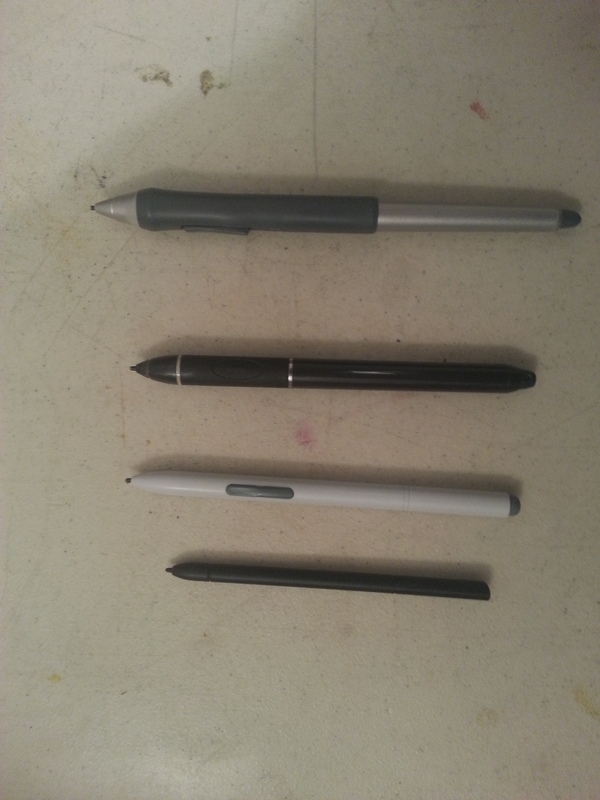 Still it was very usable when drawing and the only thing I really missed was the eraser on the top of it like Cintiq or a tablet PC stylus has because the Kingtee pen does not currently have one. All of the above is well and good but what we really want to know is: “Can I DRAW with it?” and the answer is a resounding yes! It’s far better than trying to use a Wacom tablet like the Intuos if only because you are drawing directly on the screen instead of on the desk and looking at your screen. It’s about as good as using a Tablet PC if you have ever tried one of those. If not then trust me, you’ll be able to draw just fine with it. It’s been tested with most software including but not limited to Autodesk Sketchbook Pro, Adobe Photoshop, Adobe Illustrator, Adobe Flash, Toonboom Storyboard Pro, Toonboom Animate, Sai Paint, Corel Painter, and Pixologic Z-Brush. With 2048 points of pressure you can get a thick/thin line just fine although I will say the Cintiq does it slightly better. Again your mileage might vary. 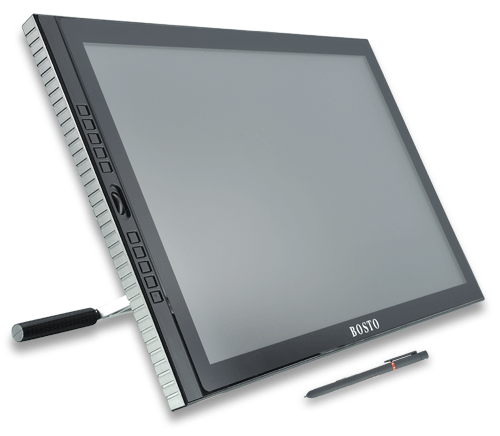 The Bosto Kingtee is a solid device to buy if you do not want to spend thousands on a Cintiq. 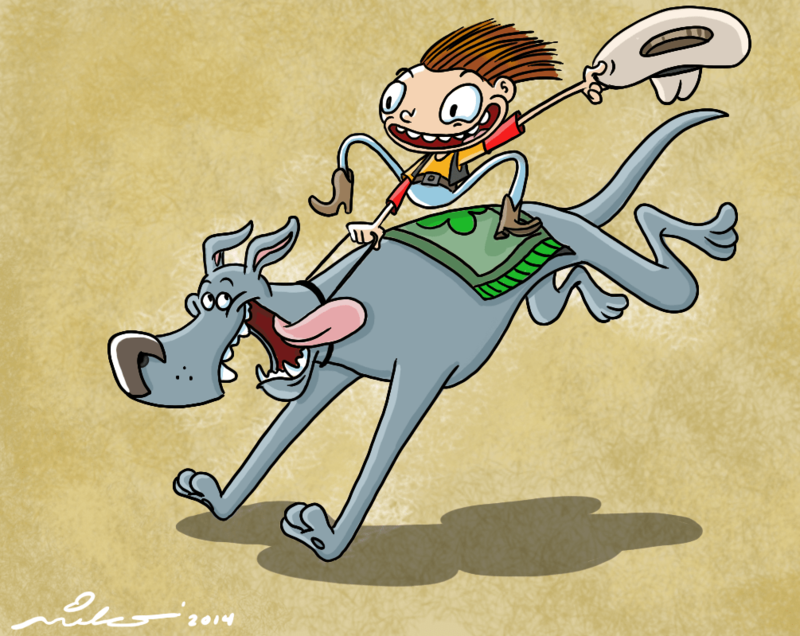 It’s about as good as drawing on a tablet PC. It is missing some of the features of a Cintiq yes, but you get what you pay for and at $500 for the 14″ Kingtee and $700 for the 19″ Kingtee, you really can’t go wrong. And with a rumored 21.5” model in the pipeline the advantages can only get better. For the record, I do own a Wacom Cintiq at home and I also use one daily at work so I am without a doubt a power user who uses all the buttons on the Cintiq to my advantage. That said, some of my issues with the Kingtee are more because of what I am used to rather than its short comings. Your mileage may vary greatly if you do not have a Cintiq yourself. 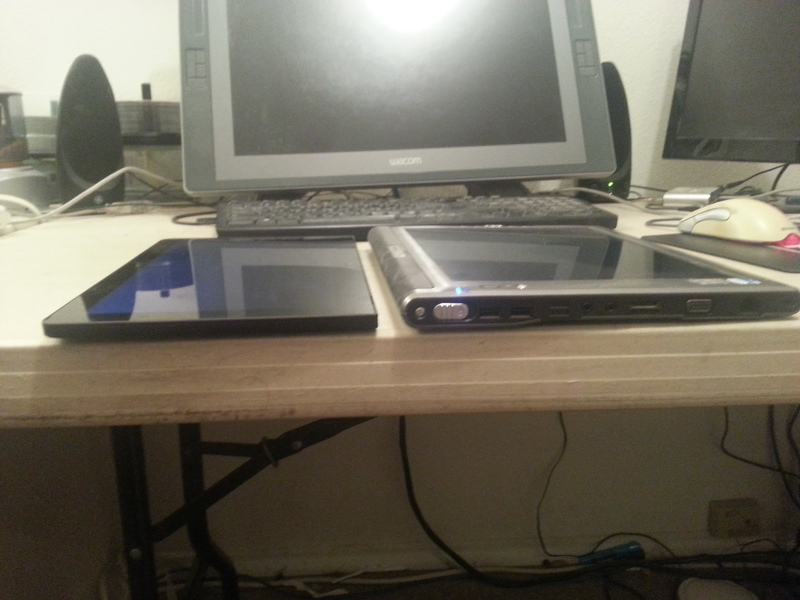 In the end I would say that if you do not have a Cintiq you will probably love either of these tablets. If you own one or use one at work, there will be a little learning curve but it’s still a very capable tool to add to your digital arsenal. You can buy directly from Bosto at www.bosto.co.